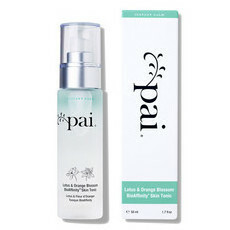 Pai Skincare Light Work Rosehip Cleansing Oil is a certified organic, super-gentle cleansing oil that transforms into a light, milky texture when a little water is added. 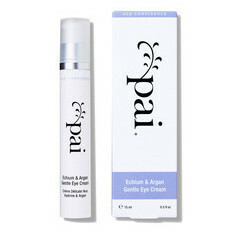 Suitable for all skin types, especially those with sensitive skin and eyes, it is formulated to glide over the face and effortlessly remove makeup and daily pollutants without upsetting the skin's natural oil balance or protective barrier. 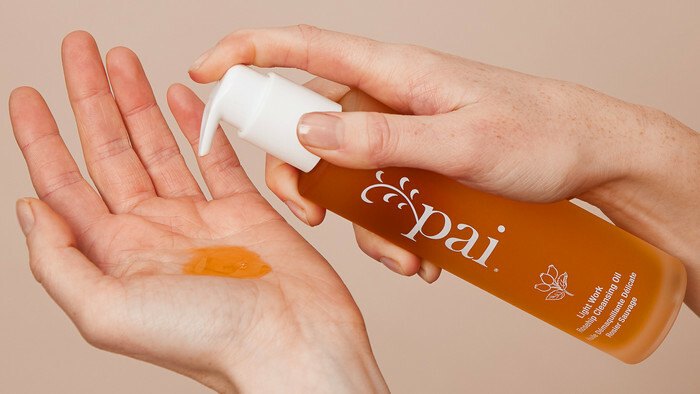 This delightful cleanser contains Rosehip Fruit, Jasmine Flower and Rosemary Leaf Extracts, which together with luxurious Olive, Sunflower Seed, Lime, Sweet Orange and Geranium Oils leave the skin feeling beautifully cleansed, soft and radiant. Handmade in London. 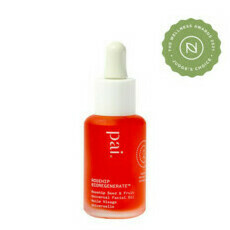 Certified Organic, Vegan, Certified Cruelty-free. Geranium, Jasmine Extract, Olive Oil, Rosehip Oil, Rosemary, Sunflower Oil, Sweet Orange, Vitamin E.
Apply 2-3 pumps to dry skin, massaging face and eyes to dissolve makeup and daily build-up. Add a few drops of water to create a silky milk, then rinse thoroughly with water to remove. Avoid direct contact with the eyes. If contact occurs, rinse thoroughly with water.